I’ve been on the shelf for swinging for nearly a week now, due to the cracked or badly bruised ribs I incurred on one of my cough syncope falls. I have been limited to easy swinging, just practicing the setup, making sure of the position and then making the easy motions at around 40-50% – hard enough to engage all of the muscles but easy enough not to strain the ribs. It occurred to me while swinging a few minutes ago that I’ve had every single of piece of the MCS Golf Swing model figured out a long time ago, and all I’ve been doing has been trying to put all of the pieces together. It’s kind of like a puzzle you’ve had for years but have never been able to put together successfully in one go. To make the analogy a tad more apt, imagine taking it apart every time you tried and failed, only to get the box out again and give it yet another go. We don’t have the luxury of leaving our swings on the coffee table to come back to later, so the process begins all over again every time you put the clubs away, even for the day, and get back at it again. I have to make a confession however – I’ve had all of the pieces together with regards to the setup, but once I figured out how to make my top position the tightest it can be – it has been a revelation and a completely new sensation in feeling the mechanically-optimal down swing from the top through the bottom to the finish! 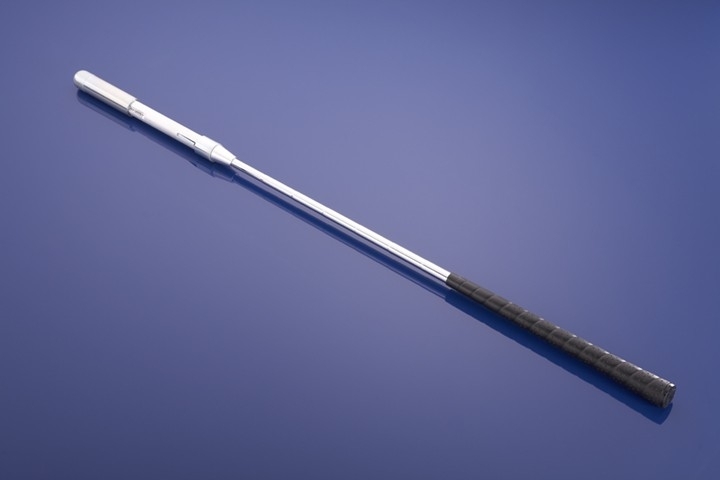 It is so exhilarating that I find myself getting up at times while watching TV or doing something on the computer and grabbing the SwingRite, just to make some swings and to feel that motion coming down, even if it’s at 50% full effort. As mentioned before, I began to focus on just the action and position of the right or trailing arm when making those short-back-swing moves, and then that’s when the “what tight really means and is“ bit struck me. 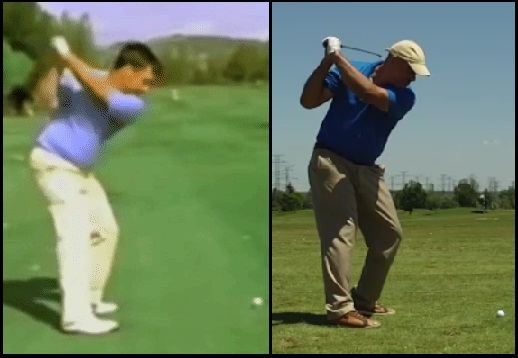 But now that I think about it, I probably had the proper feeling of the down swing back when I would make my practice swings – it was just that a practice swing doesn’t actually do anything to the ball, and if you’re changing either your stance or motion unawares when doing it for real, the difference between the two can be a wide gulf. You haven’t seen anything yet of what you can do with a proper and optimal golf swing action in the MCS Golf Swing style! This entry was posted in Address Procedure, Leverage, MCS Golf Swing, Pivot, Throw Release and tagged Address Procedure, DJ Watts, Leverage, MCS Golf Swing, Pivot, The Throw Release, WAX Golf on January 13, 2019 by D Watts.